The first game of the Hateful Days pair, Analogue: A Hate Story takes place in the far-off future where space travel is long-reaching and humans have established planetary colonies away from Earth. The player character is a silent protagonist and space investigator working for the Saeju Colony Historical Society. Their current assignment is to investigate the Mugunghwa, a South Korean generation space ship that abruptly lost contact with Earth 600 years prior to the start of the game, and had recently been rediscovered. For strange reasons, society aboard the Mugunghwa had regressed to a medieval period and their historical calendar was reset to year 1.Furthermore, birth rates on the ship went into a severe state of decline over several decades, and the ship’s operations eventually came to a complete halt. 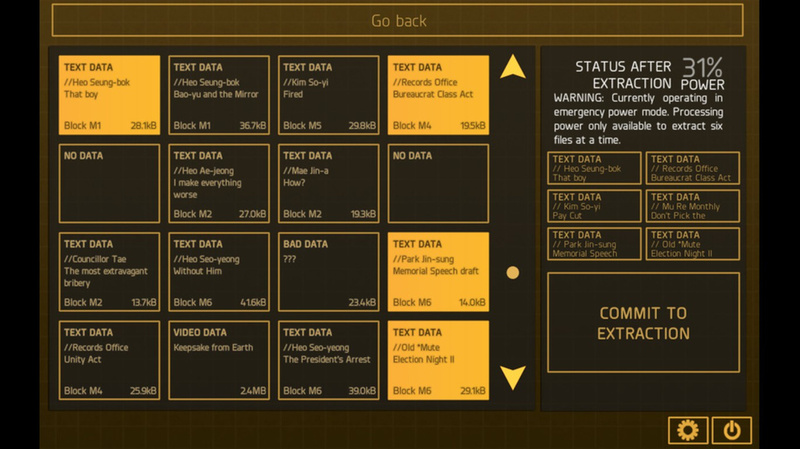 The player’s goal is to connect to the ship’s computer and salvage various text logs from the ship in order to uncover the truth behind the ship’s downfall. In order to aid the player, two AI’s can be reactivated from the ship’s computer: *Hyun-ae, a polite yet forward-thinking AI who has mysterious ties to one of the former families aboard the Mugunghwa and *Mute, the brash but traditional AI who served as the Mugunghwa’s security system. 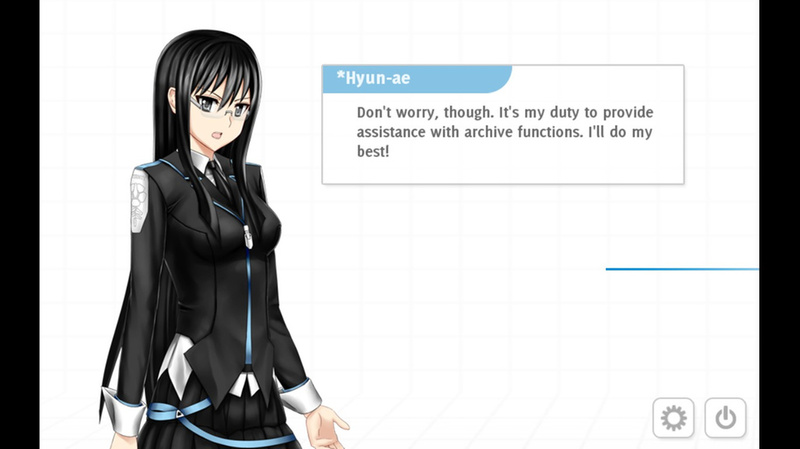 You can use your super user privileges to not only download important files but also to put *Hyun-ae in a maid outfit. The future is incredible. The second game of the pair, Hate Plus, is a direct sequel to Analogue and takes place shortly after the player succeeds in their mission of collecting the text logs from the Mugunghwa. With their return journey to Earth taking 3 days, the player and their chosen AI partner utilize the time to read over some encrypted data logs left behind by *Mute prior to the Mugunghwa’s societal regression, which in turn unveils a deeper side to the Mugunghwa’s story. The Hateful Days games are shorter and more straightforward visual novels with a few unique elements. 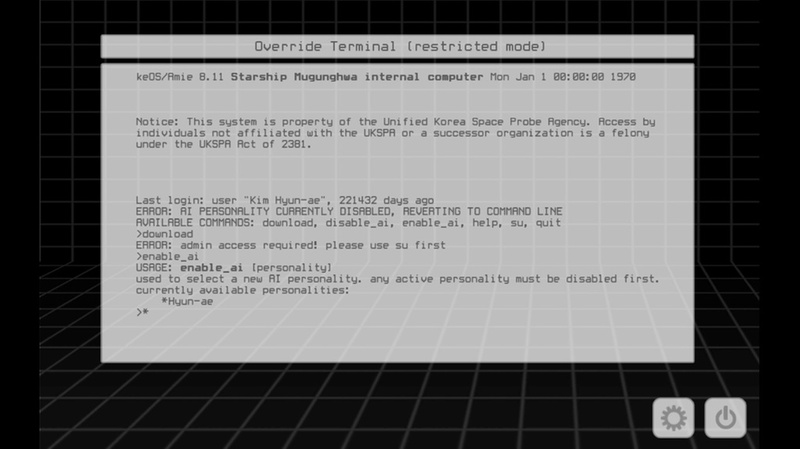 In Analogue, connecting to the Mugunghwa’s computer system reveals a Unix-style override terminal where the player can issue basic commands, such as changing the active AI (only one can be active at a time), decrypting data blocks, and even shutting off parts of the ship. The actual story and world building of the game itself is revealed through various letters, transcripts, data reports and diary entries from the former Mugunghwa denizens that are gradually revealed to the player by the AI’s. The AI’s themselves will also discuss their involvements on the ship, and offer different perspectives on the events that transpired. At certain points, the AI’s will strike up conversations with the player and give dialogue options to choose; pick the wrong options too many times, and the AI’s will get angry and disconnect you from the computer, prematurely ending the game. You’d think in a time where humans live in space colonies that your spaceship would be better at rationing energy in emergency mode. Hate Plus further simplifies many of the elements present in Analogue. The player is given the option to decrypt several files that detail a different culture onboard the Mugunghwa. However, the player’s ship is running off limited energy, and so the player can only decrypt so many files per day. This limit is instituted with a real-time, 12 hour wait on continuing save files when a player finishes an in-game day. For some players, the mandatory real-time may be frustrating, especially given how short the game is overall. There is a simplified trick that was programmed into the game that will let you skip the wait times, although you will miss out on a Steam achievement by doing so. I personally did not mind the mandatory waits, as the general text-heaviness of the game could get exhausting, but I cannot doubt that it’s a feature that might be subject to contention. I do have a few issues with some of the games’ writing in a few places. The biggest storyline issue for me was the romance options with the AI’s. Now, the game makes the romantic relationships with the AI’s completely optional, and you can have a platonic relationship with either of them if you wish. However, I still found the romance options to be rather clumsily written and somewhat unnecessary. In the case of *Hyun-ae, I felt a bit uncomfortable with her romantic route, however cute it was, given the dark circumstances surrounding her existence. *Mute’s hilarious fujoshi side has the subtlety of a brick. Both Hateful Days games utilize a rather simplistic and minimalistic design to their interfaces, which is justified given the virtual computer settings. This is contrasted somewhat with the colorful talk sprites utilized to depict both AI’s. *Hyun-ae has the appearance of a teenage girl in a black school uniform by default, but being nice to her as the story progresses gives you the option to dress her in other outfits, such as a French maid, scientist, and my personal favorite, a detective. *Mute on the other hand, has a more traditional design to her appearance, resembling a young, blonde-haired and blue-eyed girl in a traditional flowing hanbok. The bit of contrast between the minimalistic game interface and background with the AI talk sprites is a small aspect, but it gives a the game another level of distinctiveness with simplicity. Pros: Manages to tell a fascinating and compelling story with surprisingly deep amounts of world-building to boot. The writing also handles the LGBT-focused stories aboard the Mugunghwa quite well without reeking of tokenism or general shaky storytelling. Isaac Schankler’s electronic/piano-infused soundtrack compliments the mysterious and eclectic sci-fi atmosphere of the game. The talk sprite designs for both AI’s are colorful and, cute, and distinctive. Both games are straightforward and short, making them good for individuals who want to ease themselves into visual novels or just a short but satisfying experience. Cons: The real-time wait instated in Hate Plus might be bothersome to certain players given the game’s overall short length. The jokey “cake” sequence in *Hyun-ae’s route in Hate Plus goes from funny to annoying, and leans a bit too much towards padding. Although the romantic options with the AI’s are optional, they feel a bit unnecessary, and in *Hyun-ae’s case, somewhat contextually uncomfortable. Both games of the Hateful Days pair are distributed through Steam. I was extremely satisfied with both games, and I would highly recommend the pair of games to visual novel newcomers or curious peruses looking around Steam. Hateful Days was a short yet exciting ride, and I hope many others can enjoy this fine work as well. This entry was posted in Reviews and tagged Analogue: A Hate Story, Christine Love, Hate Plus, Hateful Days, indie, Steam, Visual Novel. Bookmark the permalink.